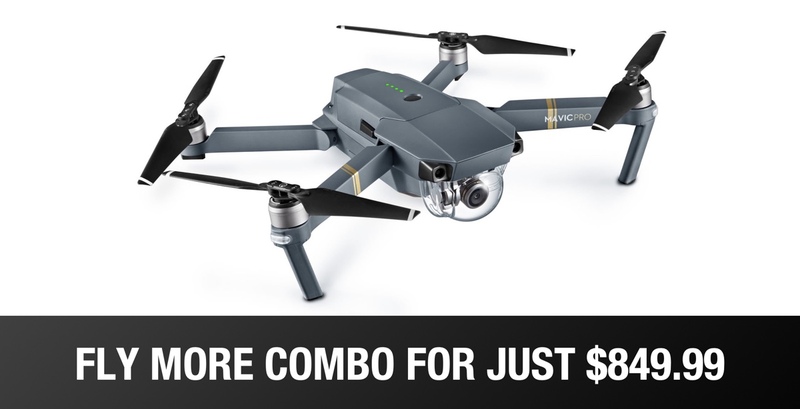 You can pick up the DJI Mavic Pro Fly More Combo at a low price of just $849.99 for a limited time. Usually this combo pack goes for $1,300 on a regular day. Pick this up today and soar the skies and record high-quality 4K footage. As far as high-end drones are concerned, the name to look for is definitely DJI. There are plenty of competing brands, and some come close to its ability while costing less, but if quality is the name of the game, then DJI is the name of the drone. The DJI Mavic Pro is a great drone, but you normally have to hand over a pretty penny to get one with all the bells and whistles. Not the case today though, with Amazon offering the DJI Mavic Pro Fly More Combo for just $849, delivered. That’s quite the saving, and this is quite the bundle. In it, you’ll get the classic Mavic Pro with 27 minutes of flying time and speeds of up to 40 miles per hour. The drone is good for a 4.3 mile range and has a pretty awesome 4K camera strapped to its undercarriage, too. The bundle brings with it everything you’ll need to get up and running, with two extra batteries, a charging up, shoulder bag, and even more that we’re going to let you find out for yourselves. 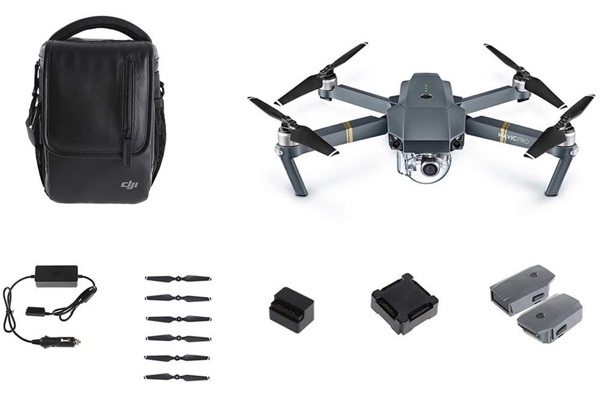 It’s probably the bundle to buy if you’re in the market for a Mavic Pro, even at its normal price. So what’s the deal? We’re glad you asked! Editors’ Recommendation: Grab the Low-Noise Propellers from DJI to boost the flight time up to 31 minutes. This is a huge saving and is even better than the prices we saw during Black Friday, so if a drone is in your future, this is absolutely the deal to take advantage of. What are you waiting for?